Phil started Sorion Electronics in September 1990 after gaining 13 years’ worth of electrical engineering experience commencing as an apprentice at Smiths Industries which later became Lucas Industries. Whilst working at Lucas, Phil was involved in the pioneering voice synthesis warning and information system which was part of the Austin Montego’s and Austin Maestro’s electronic dashboard. The system was designed to warn the driver of potential issues through a 32 word vocabulary with messages such as “brake on”, “fasten seat belts”, “low fuel” and “low oil pressure” which was programmed in 15 different languages. Phil’s interest in electronics and engineering came at an early age where as a child he enjoyed helping his father and grandfather to repair cars and other domestic and agricultural electro-mechanical machinery. Phil was just 32 years old when he set-up Sorion Electronics and in 2002 he met with Steve Hayes and Nick Hartt who both became Owner Directors in 2003. For Phil, the main objective of being Managing Director has always been to run a successful company whilst treating customers, employees and suppliers fairly. Looking to the future Phil’s primary objective is to develop a senior management team that can lead and continue the success of Sorion Electronics for the next generation of customers, employees and suppliers. Phil has a BSc with Honors in Electronics and is an Associate Member of the Institute of Engineering and Technology. Phil lives in Stone, has an interest in restoring antique clocks and also in his spare time volunteers at a special needs group at Stone Community Centre. 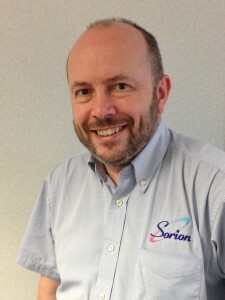 Originally from Newcastle, Steve joined Sorion Electronics as Commercial Director in March 2003. As Commercial Director Steve is responsible for sales, marketing, costings and product design. Even before his teenage years Steve had an interest in engineering electronics where he would build amplifiers for his electric guitar and later in his teenage years Steve developed a passion for buying old cars and restoring them to full working order. From an early point within his career, Steve had an ambition to be running a successful company by the time he saw his 40th birthday. It was 2003 when Steve achieved his ambition at the age of 44, which although 4 years later than his initial goal, it was still a respectable achievement. 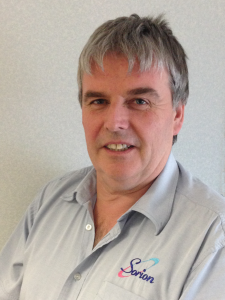 Previous to joining Sorion Electronics, Steve worked at Cirrus Technologies where he had joined as a recently qualified Mechanical Engineer in 1982. During his time at Cirrus Steve was able to gain valuable experience in the field of electronics engineering and although already having gained a HND in Mechanical Engineering, Steve enrolled in night school and achieved a second HND with Distinction in Industrial Electronics Engineering. 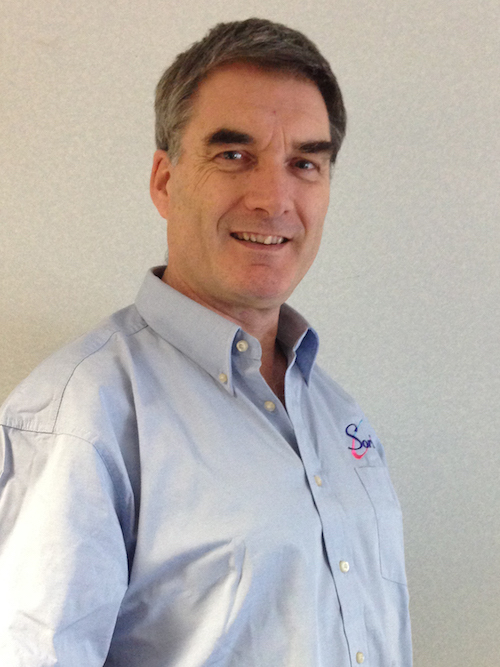 He progressed from a Mechanical Engineer to Technical Director and finally as Sales Director. It was whilst he was at Cirrus that Steve met with Nick Hartt who would go on to become a fellow Director at Sorion Electronics. 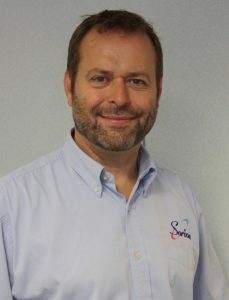 During his time as Commercial Director at Sorion Electronics, Steve believes the toughest time was during the recession between 2007 and 2011 where all of the Directors had to make difficult decisions and take decisive actions to ensure the company was not only able to continue trading through the downturn but that the long-term objectives of the company were not compromised. Since 2011 Sorion Electronics has continued to grow and invest in its future and Steve is focusing on increasing the company’s turnover and creating greater operational efficiencies. Steve is married, has four grown up children and can usually be spotted on a canal either walking his dogs or steering his narrow boat which he lovingly built over 2 years. As Systems Director, Nick has a technical role within Sorion Electronics which sees him being the principal systems analyst and responsible for software design. In the 1980s Nick had a passion for the Sinclair ZX Spectrum which was perhaps his inspiration for taking an A’level in Computing and later a degree in Computer & Controls Systems. After graduating, Nick joined Cirrus Technologies as a Software Engineer where he worked for 15 years before leaving to join Sorion Electronics. Nick progressed his career through Cirrus Technologies where he became Systems Engineering Director and had responsibility for 30 Software Engineers. The opportunity to start developing a new suite of software from scratch without having to provide backwards compatibility was a driving force in motivating Nick to join Sorion Electronics. Nick’s first objective was to design and develop a system that was cost effective and easy to access and use for their customers. Nick has been instrumental in assisting with the growth of Sorion Electronics and developing their market leading products and solutions. He has a philosophy of simplicity and elegance when it comes to software development and looking to the long-term, Nick wants to focus on developing Sorion’s software as more of a standalone ‘off the shelf’ solution. Today, Nick has a 20 years’ worth of experience in designing and implementing corporate and automotive systems including mission critical and fault tolerant production systems. For the last 5 years Nick has been closely following developments in the CAD and Additive Manufacturing Industry, this spurred the early adoption of a low cost 3D printer and was a key driver to the investment in the recent Stratasys Printer. Nick lives in Kings Heath and outside of work is a Scout Leader for the 148th Birmingham St Dunstans Scout Group. Rob joined Sorion in 2014 as Operations Manager and was promoted to Operations Director in September 2016. Rob has a wealth of operational and customer facing experience having held key positions in a technical and computing book company, including sales manager and logistics manager before joining Sorion. Rob is results driven and is instrumental in ensuring that Sorion is always in a position to meet growing demand whilst continually improving upon the on-time delivery of well designed and manufactured products. Rob constantly strives for operational excellence through ensuring Sorion has efficient work practices and well trained, motivated and customer focused staff. Over the past couple of years Rob has provided exceptional results for Sorion, including driving key initiatives in developing a culture of continuous improvement and improving operational workflows. Rob is originally from the Black Country and now lives in Birmingham. In his spare time Rob enjoys hiking around the countryside with his family.